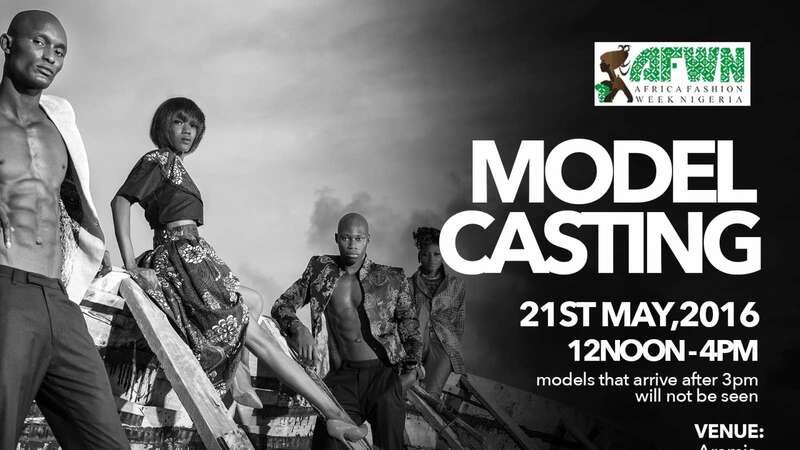 Africa Fashion Week Nigeria 2016 organizers have announced casting calls for male and female models and modelling agencies interested in participating in this year’s edition of the event. Ahead of the event scheduled for July 1st - 3rd, 2016, the organizers is set to cast for qualified models on 21st of May, 2016 from 12pm to 4pm at Aramis, Plot 1B Block 49 Admiralty Way, Lekki Phase 1. Lagos. -Female models must be a minimum height of 5.9 and a dress size of 6 to 12.